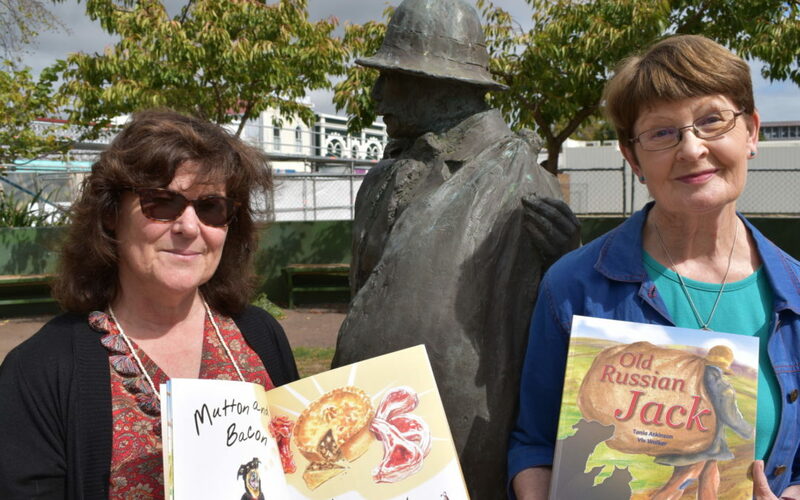 An “almost” true picture book, Old Russian Jack, was launched to about 30 adults in Carterton on Wednesday, but a second launch this morning at 10.30am aims to attract the book’s target audience – children. The book is the second collaboration by Greytown author Tania Atkinson and Carterton illustrator Viv Walker, and uses Russian Jack, a real-life swagman who once walked throughout the lower North Island with a mysterious sack, as the focus of a charming story about three greedy animals. This morning’s launch at the Masterton District Library is special to Atkinson. She got the idea for the book from the statue of Russian Jack outside the library. She admired the statue “very much” and was encouraged by locals to write about Russian Jack. 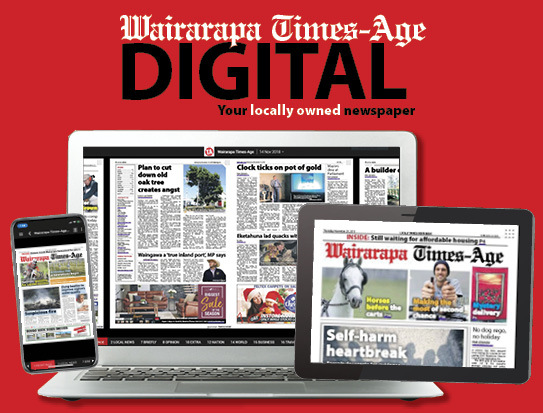 Farmers in Wairarapa would “definitely remember” the historical swagman, Atkinson said. Like other swagmen, he’d come at the end of day so as not to disrupt farmers’ work, lending him another nickname – sundowner. His real name was Barrett Crumen, and he was born in Latvia, on March 26, 1878. Renowned as a hugely strong man, he worked as a scrub cutter and shed hand at Awhea Station near Martinborough for many years. He had a prodigious appetite, a fondness for tobacco, and despite being a “man of the road”, would patch all his clothes and keep himself reasonably tidy. 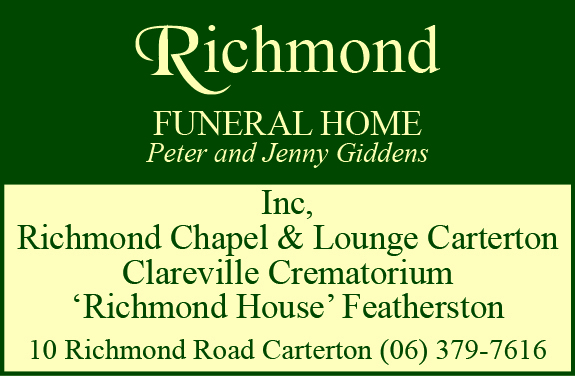 He died at the age of 90 in 1968, very deaf, bow-legged, and footsore, in the Buchanan Ward of Greytown Hospital. Walker said the book posed the question: “He was known to have a very big sack, so what did he carry around in it? Atkinson and Walker’s first book, Over the Hill to Greytown, another children’s picture book, was Take Note Carterton’s top-selling book of 2013. Walker’s previous illustrated books also had a Wairarapa grounding, with age appropriate tales about Pukaha Mount Bruce’s takahe and eels, the Castlepoint Lighthouse, and the Anzac Memorial Bridge. Over the Hill to Greytown, which Walker described as “historical fiction”, had the subject of pioneer Samuel Oates and his wheelbarrow. “I think it’s a great privilege to take something that’s real and make it engaging for a young reader, but with historical elements in it,” Walker said. Old Russian Jack is published by SWIRLD BOOKS, Carterton, an imprint set up by Walker to publish her and others’ books.